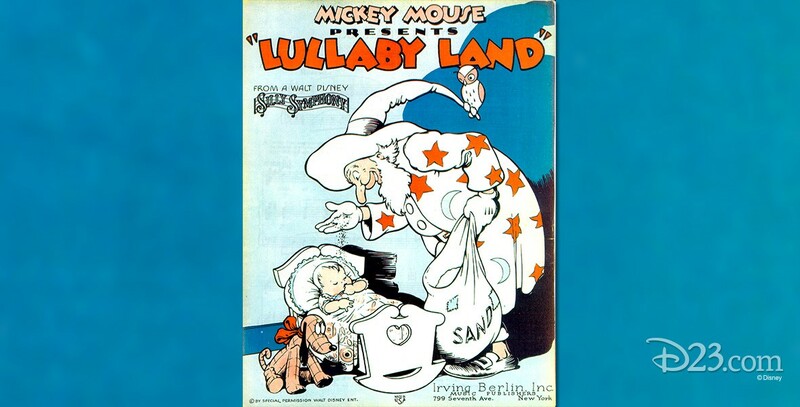 Lullaby Land (film) Silly Symphony cartoon; released on August 19, 1933. Directed by Wilfred Jackson. A little baby and a toy dog have an adventure in a land of patchwork quilt fields, trees laden with rattles, and magic nursery crockery, safety pins, and bottles of castor oil. Frightened by a Forbidden Garden of penknives, scissors, and matches, the pair are rescued by the sandman and sent back to the cradle on a blanket of flowers. The title song was published on sheet music.